On Friday, May 16, the Honorable Minister Louis Farrakhan continued hosting his popular #FarrakhanFridays Facebook Q&A chat with his nearly 94,000 fans. On this day, Minister Farrakhan was asked a question about the song "We Made It" by Jay Electronica and Jay-Z. A questioner asked, "People were going crazy over Jay Electronica and Jay Z’s song We Made It, where they're talking about Fard and Yakub. Did you hear it? And if so, what do you think about this?" Minister Farrakhan responded, "Yes, I did hear it: My grandson played it for me. I am grateful to Allah (God) for the greatness of Jay Z and Jay Electronica, who could take the wisdom of the Honorable Elijah Muhammad, or the wisdom of Brother Clarence 13X, who is really the father of The Five Percent Nation, and use that wisdom in a song. And just as we can be inspired by words to do bad things, we can be inspired by words to do great things! I hope that this is the beginning of these great rappers taking their role as not just rappers, but in enlighteners of the vast audience that is theirs. And from that enlightenment, produce a world where human beings, regardless of race or creed or color, can live together in peace and harmony. 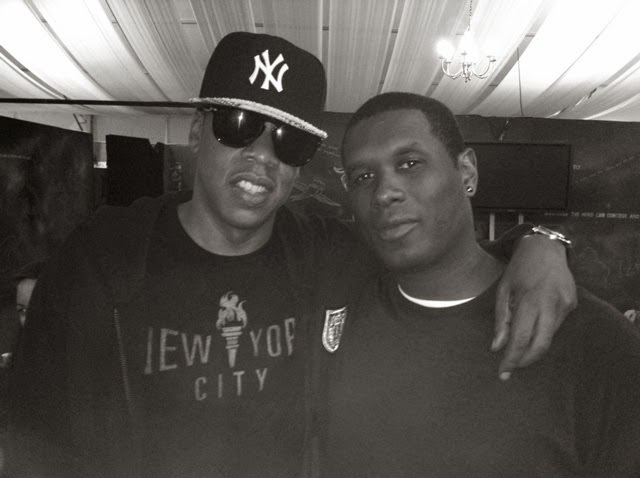 Best wishes to Jay Z and Jay Electronica, and all our great emcees. Continue The Good Work of feeding the flock." This Facebook post has sparked a lot of dialogue and debate on Minister Farrakhan's page. And even Jay Electronica, who goes by the Facebook name 'Elpadaro F. Electronica', commented "Thank You Dear Holy Apostle, I'm striving to fight the good fight although I don't always win." Once again, this shows how Minister Farrakhan continues to impact the Hip-Hop world. Be sure follow him on Twitter @LouisFarrakhan, Facebook and Instagram.